Betzest Affiliates is the affiliate program for Betzest, sportsbook and casino. Earn up to 45% revenue share. Affiliates looking for an new online casino to promote would do well to join BetZest Affiliates. The affiliate program is relatively new and those who join would have the chance to promote the Betzest online casino and sportsbook brand. Targeted mainly at the European market, the online casino and sportsbook has a lot to offer its players. Not only does it have a reasonable welcome offer, players will also get to enjoy the online casino and sportsbook’s no-deposit bonus the moment they register for an account. Coupled with an interesting selection of casino games, these offers have allowed the brand to rack up a decent conversion rate despite having started its operations just recently. If they’re successful at promoting the BetzZest brand then affiliates can expect generous commissions for their efforts. The program shares with its affiliates anywhere from 30% to as much as 45% of the revenue generated by the brand from their (the affiliates’) referred players. BetZest Affiliates schedules the payout for commissions earned in a month at the beginning of succeeding month. The program supports payouts through Bank Transfer, Skrill, and Neteller. In order for a payout to be processed though, affiliates will need to make sure that their commissions meet the minimum threshold of €50. In the event that an affiliate falls short of this amount, the program will defer the payment for the next month/s or until the commission matches the €50 minimum. It should also be noted that the program does not have a negative carry over policy. The Betzest Affiliates program ensures its affiliates that they’ll have all the promotional and marketing tools they’ll need to successfully promote the Betzest brand. Once part of the program, affiliates will only need to log in to their account dashboards to access banners, text links, and other rich media content that they can then use on their affiliate sites or promotional campaigns. Other than this, the program has a reporting system (courtesy of NetRefer) that allows affiliates to closely monitor their referrals, conversions, as well as the commissions they’ve earned. Affiliates can also use this monitoring system to generate reports that they can then use to analyze the strengths and weaknesses of the campaigns that they’re running. 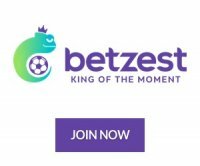 Betzest is an online casino and sportsbook that was founded by in 2017. The brand is headquartered in Malta and managed by the SportingTech Group of Companies. While it might be registered in Malta, the brand has a license to operate issued and regulated by the Government of Curacao through Antillephone N.V. Players who register for an account with the online casino will get to enjoy a $/€5 no-deposit bonus in addition to a welcome bonus offer that would allow them to get as much as $/€200 on their initial deposits. For its casino games, the online casino and sportsbook has titles from developers/publishers such as WeAreCasino, RCT, Game Art, Spinomenal, and SurGames.